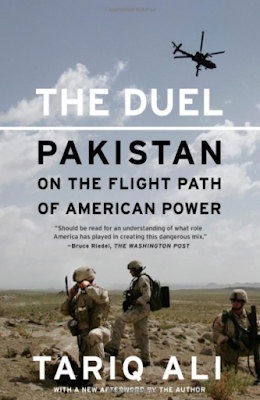 This is a sweeping and often trenchant look at Pakistan, its leaders, its geo-politics, the role of the US, and the challenges facing the nation. It is not a comprehensive account, nor is it altogether impartial, but it is a jolly entertaining and at the same time educational read. I was interested in this book for several reasons. For one, it promised to provide a different perspective on Pakistan. Different from the western perspective, and different from the Indian perspective, and the two can be very different. As the author writes, “The West prefers to view Pakistan through a single optic.” The same could well be said for much of Indian analysis, or what passes for analysis of Pakistan, exceptions notwithstanding - the optic continues to be either religious, partition, or the four wars India and Pakistan have fought in the last 65 years. It would be educational to read an experienced journalist’s take on his country. And Tariq Ali does not disappoint. I should however warn that the western reader is likely to be somewhat daunted by this book – it has not been written to gently handhold a western reader, who has little knowledge about Pakistan except that gleaned from the likes of CNN or BBC, which is to say little to non-existent at best and outright misleading and biased at worst, through the maze of facts and events that are required to bring about an understanding of this country. The book pre-supposes some sort of familiarity with the lay of the land, as it were, of Pakistan’s political history, so it may be a good idea for the person who has little idea of the country to spend a few minutes on Wikipedia, or better, talking to a South Asian – Indian, Pakistani, Sri Lankan, Bangladeshi – to get at least some first-hand perspective on the country. "The Duel" is half-history, half current affairs, and mixed in-between the two is an often caustic commentary on its leaders and politicians. How caustic? "Milton’s Satan was convinced that it was ‘better to reign in hell than serve in heaven.’ Pakistan’s rulers proved it was possible to do both." Or "Each is by now sufficiently versed in deception and well trained in concealing petty rivalries and jealousies for the sake of the greater bad." The "each" refers to the three groups of people who get together during periods of military rule in Pakistan – "military leaders, a corrupt claque of fixer-politicians, and businessmen eyeing juicy contracts or state-owned land." Or "It is extremely rare in Pakistan for any politician to relinquish office on an issue of principle." And so on. The parallels with Indian politicians in the book is striking – rarely would you have heard of an Indian politician relinquishing office on an issue of principle, the present incumbents of its highest elected and indirectly elected offices being luminous examples. The aspirations of the common man, so often and so predictably ignored by the political class is a tale that is almost identical on both sides of the border. "We talked about their living conditions. ‘All we dream of is schools for our children, medicines and clinics in our villages, clean water and electricity in our homes,’ one woman said. ‘Is that too much to ask for?’ Nobody even mentioned religion." After an introduction in the first chapter, the next several chapters are more or less a chronological account of the country’s political history, but narrated with a brisk pace and punctuated by a biting wit. Chapter 2, "Rewinding Pakistan: Birth of Tragedy", is somewhat of a surprise. Rather than parade the universally accepted raison d’etre of religion as the core and perhaps the sole foundation of the creation of Pakistan, the author writes of a decidedly different agenda at work here. Without getting into a detailed background, to summarize, the proponents of Pakistan saw in the new state a chance to land for themselves the riches and trappings of power without competition from Hindus as well as the less well-to-do Muslims themselves. "The creation of a "separate homeland" for India’s Muslims had been taken seriously by the lower orders. They had no idea that it was a state for landlords alone." … "Confronted with a mass influx of refugees, a panic-stricken Muslim League leadership in Karachi now told Indian Muslims that the new state was not intended for all Muslims but only those from east Punjab. The Muslims in Delhi and Uttar Pradesh (UP) should stay where they were. This was bluntly asserted by Pakistan’s first prime minister, Liaquat Ali Khan, himself a scion of the UP gentry. What he really meant was that there was no place for middle- and lower-middle-class Muslims from the named regions." Pakistan’s founding father, Mohd. Ali Jinnah, had sought to fashion Pakistan as a secular state, but with religion as the basis for its foundation (noted BJP leader, Jaswant Singh, got into hot water with his party for reiterating this, after he stated as much in his book, "Jinnah: India Partition Independence". I have not read the book, so cannot comment with any authority on what was actually said, or not said, in that book). That this was a fatal contradiction was perhaps not evident at that time. "The Great Leader thought of Pakistan as a smaller version of India with one small difference: the Muslims would be a majority. He had not thought of asking himself why Hindus and Sikhs should now accept what he had refused to countenance: living under a majority composed of another religious group." The author is perhaps a bit too kind to the Indian political class that fought the British in the struggle for Independence. Of perhaps, bad as the situation is in India with respect to her political class, the situation in Pakistan is worse. "A majority of ruling Pakistani politicians too had grown up serving the British. Like their old mentors, they regarded the ordinary people with a mixture of repugnance and fear. Small wonder that senior civil servants and military officers, true heirs of the departed colonial power, treated the politicians with contempt. On this front, the difference with India could not have been more pronounced. In India the political leadership had been forged over three decades of continuous nationalist struggles and long periods of imprisonment. No general or civil servant would have had the nerve to challenge a first-generation Congress leader." Chapters 3 through 6 cover the four military dictators that ran the country at different times in its history. Field Marshall Ayub Khan from 1958-1969. He was replaced by General Yahya Khan, who was ruler of the country till 1971. General Zia-ul-Haq overthrew the first democratic government in Pakistan in 1977, and ruled the country till his death in 1988. Finally, you have General Pervez Musharraf, who overthrew the democratic government of Navaz Sharif in 1999, till his removal in 2008. Each dictator, in his own unique way, prodded, pushed, and plunged the country further down the path of social, economic, and political ruination, and the four are accorded the epithet "Washington Quartet" for the simple reason that none could have come to power, much less survived without the patronage and support of the US administration of the time. Field Marshall Ayub Khan was "regarded by his superiors as an obedient and trustworthy soldier. He was to fully justify that trust, remaining loyal first to the British and later to the United States throughout his years in military politics." Ayub Khan was no friend of democracy, and as a dictator he was more valuable to the American administration. "As a dictatorship, Pakistan became an even stauncher member of the free world. General Ayub told the first meeting of his cabinet, 'As far as you are concerned, there is only one embassy that matters in this country: the American embassy.'" The United States reciprocated with a statement endorsed unanimously by the National Security Council (NSC) that noted "the presence of important U.S. security facilities in Pakistan" and gave full backing to the military takeover of the country…"
Despite a rigged election in 1965 that saw the General take off his uniform to fight and win a presidential election, "Western backing for the regime continued apace." Even before the good General saw his reign cut short, Pakistan had begun to see agitations by the people of East Pakistan, demanding the restoration of democracy. These protests were put down with brutality befitting a dictatorship. "There were mass arrests and the dictatorship ordered the police to ‘kill rioters’ on sight. … Stray dogs with Ayub painted on their back became a special target for armed police." Even as the country was sliding into a morass of political chaos in East Pakistan, the thinking among the intelligentsia in the United States remained predictably off-the-mark. If Ayub Khan was bad, his chosen successor, General Yahya Khan, was worse. Forced into promising elections to the East Pakistanis, Yahya Khan watched in horror as the rebel party, Awami League, won not only a crushing majority in East Pakistan, but also an overall majority in the national parliament itself! "Of the 169 seats allocated to East Pakistan in the National Assembly, the League won 167. It also gained 291 out of the 343 seats in the provincial parliament. Its bloc in the National Assembly gave it an overall majority throughout the country and entitled it to form the central government." Any rapprochement between the East and West Pakistan political parties was vetoed by Zulfiqar Ali Bhutto, who "…coined the slogan ‘Idhar Hum, Udhar Tum’ (Here It’s Us, There It’s You), making it clear that, like the military, he was not interested in sharing power." The result was a brutal suppression in East Pakistan, that would see the genocide of an estimated 3 million people, mostly Hindus, and an exodus of another estimated eight-to-ten million people to neighbouring India ("Century of Genocide: Critical Essays and Eyewitness Accounts"). "Jinnah’s Pakistan died on March 26, 1971, with East Bengal drowned in blood. … Operation Searchlight was brutal, but ineffective." "Yahya Khan himself had become a dim and slothful figurehead. Reports would later emerge of how late one night while intoxicated, he had rushed out stark naked onto the streets of Peshawar roaring with laughter, chased by his favorite mistress (widely known as "General" Rani), and had to be escorted back indoors by his unsurprised guards. This was at the height of the war." The denouement to this sordid saga was to end starting December 3, 1971, when "the Indian army crossed the East Bengal border, were greeted as liberators, were helped by the local population, and advanced toward the capital, Dhaka." Within a fortnight they had compelled ‘Tiger’ Niazi to surrender himself and the rest of his command. Pakistan lost half its navy, a quarter of its air force, and just under a third of its army." The end of East Pakistan also saw the succession of Zulfiqar Ali Bhutto. Bhutto had been appointed minister for commerce in 1958, in Ayub Khan’s cabinet. He would go on in 1965 to urge the general to launch a pre-emptive strike against India to "liberate" Kashmir. As Prime Minister he however failed to implement economic and land reforms in Pakistan that would have provided the millions of its poor citizens an opportunity to raise themselves from abject poverty. He however did nationalize several industries in 1972, which "included the medium-size steel foundry in Lahore owned by the Sharif family, which made them Bhutto’s enemies for the rest of his life." In 1976 Bhutto would appoint Zia-ul-Haq as the army chief, superseding five other generals in the Pakistani army. "Bhutto regarded him as a loyal simpleton." … "Far from being a useful idiot, Zia always reminded me of Dickens’s inspired creation Uriah Heep, the hideous clerk in David Copperfield. A hypocrite whose body language stressed his humbleness while masking his ambition." Zia would later repay that debt by engineering the trial and hanging of Bhutto in 1979. "The tragedy of Zulfiqar Ali Bhutto was that despite the fact that ‘Not even his enemies disputed that he was the most gifted political leader that the country had ever produced. Intellectually he was light-years ahead of any general or politician.’ he was also ‘Deeply insecure psychologically, he saw imaginary enemies everywhere’." Bhutto was for some reason pathologically obsessed with India; specifically, India as a primal and primary enemy. "Unable to deliver food, clothing, education, health, and shelter, he would work hard at giving the people a bomb. This was to be the cornerstone of a new Pakistani nationalism that had not been possible before the amputation of Bengal. It was a deadly decision. … Dr. I. H. Usmani, chairman of the Pakistan Atomic Energy Commission, was openly skeptical. He knew that India was two decades ahead of Pakistan and that ‘Pakistan just didn’t have the infrastructure for that kind of programme. I’m not talking about the ability to get 10kg of plutonium. I’m talking of the real infrastructure. Pakistan totally lacked a metallurgy industry.’"
Bhutto’s lingering popularity even after the coup by Zia-ul-Haq in January 1977 saw the General take extreme measures to have Bhutto eliminated, politically and physically. Bhutto was arrested in September 1977 for "conspiracy to murder", tried, sentenced, and hanged on April 4, 1979. This was not a straightforward affair of the law taking its own course. There was enough rotten stuff to raise a stink to the high heavens. "The acting chief justice, Maulvi Mushtaq, was a close personal friend of Zia’s… Only hearsay evidence implicated Bhutto. One of the state witnesses was Masood Mahmood, a former boss of the Federal Security Force. He had been promised immunity, but ended up with a new identity, a great deal of money, and a luxury apartment in California,… The Supreme Court rejected the appeal by a 4–3 vote. One judge who was considered unreliable by the military was retired during the trial; a second was denied sick leave and a delay in the trial. He had to withdraw from the bench. Chief Justice Anwarul Haq was in communication with the military dictator every single day. A detailed two-hundred-page dissenting opinion by Justice Safdar Shah provided a devastating rebuttal of the case brought forward by the state." Completing the truly tragic circle in this farce was the person who had accused Bhutto of attempted murder in the first place, Ahmed Raza Kasuri, "one of Bhutto’s early and more eccentric supporters". … "I remember well, in 1969, Bhutto arriving at a wedding in Lahore, preceded by Ahmed Raza in butler mode announcing, ‘Everyone, please rise for Chairman Bhutto, who is about to arrive,’ a remark that caused much merriment and was greeted with ribaldry." An obvious question that may arise in the mind of the reader is how could the good General have been allowed to carry out this despicable act of state-sanctioned-and-orchestrated murder, an assassination of its most popular political leader - without the approval of its benefactor, the USA? Ha! This is where things get and keep getting more and more interesting. The thing is that Bhutto, ever-so-obsessed with India, and specifically the thought of wreaking revenge on it, had decided that the nation, Pakistan that is, needed a nuclear bomb to bring it to parity with India. A nuclear state outside the cozy club of the five was not to the liking of the USA. And it said so, in no uncertain terms, to Bhutto. Well, actually, one of its most distinguished statesmen, Henry Kissinger, passed that message across. Dr Kissinger, seen by many as a war criminal (read "The Trial of Henry Kissinger" (Kindle) by the late Chritopher Hitchens), culpable in the genocide of millions in East Timor, Cambodia, and elsewhere, had threatened to "make a horrible example out of you" (of Bhutto) if he persisted in his nuclear ambitions. "In his death-cell memoir, ‘If I Am Assassinated’, he alleged that Henry Kissinger had warned him, during one of his visits to Pakistan in August 1976, that unless he desisted on the nuclear question, ‘We will make a horrible example out of you.’ Both Kissinger and Bhutto could be economical with the truth, but the remark has recently been confirmed." Kissinger waited for a while, and said in a cultured tone, ‘Basically I have come not to advise, but to warn you. USA has numerous reservations about Pakistan’s atomic programme; therefore you have no way out, except agreeing to what I say.’ Bhutto smiled and asked, ‘Suppose I refuse, then what?’ Henry Kissinger became dead serious. He locked his eyes on Bhutto’s and spewed out deliberately, ‘Then we will make a horrible example of you!’"
Which explains why the US was not too particularly bothered when the good General had Bhutto hanged. "Military coups in Pakistan are rarely, if ever, organized without the tacit or explicit approval of the U.S. embassy. Bhutto’s ‘treachery’ on the nuclear issue was the principal reason why the United States gave the green light for his removal. … The notion that Zia would have gone through with the hanging had it been opposed by Washington is risible." The funny thing with evil designs is that they rarely follow the designs of their evil masters. And so it happened with the nuclear bomb. Zia saw in Pakistan’s nuclear program a means of cementing his political legacy on the one hand, and on seeking revenge against India for the 1971 war on the other. "…Bhutto had retained political control of the nuclear facility, keeping the generals at a safe distance. One of Zia’s first instructions was to authorize a total military takeover of Kahuta. Since 1971, the military had become obsessed with revenge." What helped Pakistan, and Zia, immensely was the Afghanistan mess, started in part by the Americans themselves, to ensnare the Soviets to Afghanistan. "’to set a "bear trap,’ in the words of the U.S. national security adviser, Zbigniew Brzezinski, via a simple strategy to destabilize the Afghan government, in the hope that its Soviet protectors would be drawn into the conflict." That happened, with the active participation of the ISI’s newly formed "Afghan Bureau", setup and run by General Akhtar Abdul Rahman, "an efficient, bigoted, and cold-blooded officer." Zia-ul-Haq was clear as to what was needed to keep the Americans beholden to the Pakistani dictatorship. "The United States wanted a stable Pakistan, whatever the cost. Zia understood his role well and instructed General Akhtar Abdul Rahman, his director general at the ISI, ‘The water in Afghanistan must be made to boil at the right temperature.’"
Part of the Afghan war was financed through the heroin trade. That benefited the "heroin smugglers, civilian middlemen, the top brass of the Pakistan army, and politicians allied to all three." No surprises there. But what about the cost to the Pakistan people? "The number of registered addicts in Pakistan grew from a few hundred in 1977 to over 2 million in 1987. The growth of gang warfare in Karachi is directly linked to its becoming a center of the heroin trade." Drug smuggling and terrorism, or "freedom struggle" – as the mujahideen’s murderous frolics were characterized at the time, were just two by-products of this noble war. "The ISI and CIA watched and applauded as Russian technicians and their families were killed, disemboweled, and their heads displayed on posts. This was sweet revenge for Vietnam. … Most of today’s jihadi groups are the mongrel offspring of Pakistani and Western intelligence outfits, born in the 1980s when General Zia was in power and waging the West’s war against the godless Russians, who were then occupying Afghanistan." The second item on Zia’s agenda, for which he got a free hand from the Americans, or at least a blind eye, was the radical Islamization of the country and its army. "Zia wanted a total break with the past and reached out for religion, usually the first resort of a scoundrel." Implementation of "true Islamic laws" in the country would have consequences. Some farcical. Some tragic. "The Taliban did not as yet exist, but the stage was being prepared. To the credit of the medical profession, doctors refused to preside over or perform ‘Islamic’ amputations, and these particular punishments could never be implemented. … The massage industry promised that henceforth only men would massage other men. Honor was satisfied, even though the deal directly contradicted the Sharia, which usually decrees the death penalty for homosexuality." Zia’s end was somewhat inglorious. He died in a plane crash in 1988, taking down with him five other generals and the US ambassador, Arnold Raphael. A rollicking, fictional, tale set in the last days of Zia-ul-Haq is "An Exploding Case of Mangoes", written by Mohd Hanif. Three months after Zia’s death, Benazir Bhutto, Zulfiqar Ali Bhutto’s daughter, won the elections, and became the country’s first woman prime minister. A year later she was dismissed and Navaz Sharief became the prime minister in fresh elections. He also would fall out of favor, and Benazir Bhutto would return to power in 1993. A game of musical chairs, played at the highest levels. Corruption, at the highest levels would undo both. Benazir Bhutto watched in benign silence as her able husband, Asif Ali Zardari, amassed ill-gotten gains, to the tune of an estimated $1.5 billion. Zardari would come to be known as "Mr Ten Percent". On the other side of the Pakistani border there would be an equally industrious first-family at work, extracting an estimated seven percent from a Swedish arms deal and an untold millions from other defense deals. Benazir’s brother, Murtaza Bhutto, argued against his sister’s husband’s corruption. In response to her mother’s suggestion of making Murtaza the chief minister of the province of Sind, Benazir removed her mother as chairperson of the PPP. "According to some, he rang Zardari and invited him round for an informal chat to try to settle the problems within the family. Zardari agreed. As the two men were pacing the garden, Murtaza’s retainers appeared and grabbed Zardari. Someone brought out a cutthroat razor and some warm water and Murtaza shaved off half of Zardari’s mustache to the delight of the retainers, then told him to get lost." A few months later, Murtaza was gunned down by the state police in a carefully planned operation. The sloppy coverup and the extent of the coverup made it clear the decision "to execute the prime minister’s brother had been made at a high level." Fatima Bhutto ("Songs of Blood and Sword: A Daughter's Memoir", Kindle ed), daughter of Murtaza, would remember the fake hysterical cries of her aunt, Benazir Bhutto, when she frantically tried to reach her by phone on that fateful night. Benazir would also later go on to devise "a plan to set up the Taliban as a politico-military force that could take over Afghanistan". Eleven years later, in 2007, after she was killed by terrorists, though some claim it was at the behest of the Pakistan dictator Pervez Musharraf, "streets resounded to chants of Peoples Party supporters: ‘Amreeka ne kutta paala, vardi wallah, vardi wallah’ (‘America trained a dog / the one in uniform, the one in uniform’)." General Pervez Musharraf himself had come to power after seizing power from Navaz Sharief in 1999. This was after he had led the Pakistan army into an ill-fated and unofficial venture on the peaks of Kargil, that threatened to spark off a full-scale war between two nuclear states. Looking back, it is truly staggering that Pakistan’s military philosophers actually thought they could defeat India. Once the latter realized that this was a full-fledged assault, it recovered and sent in heavy artillery with air and helicopter cover. A naval offensive, prelude to a blockade, was also set in motion. With only six days of fuel left, the Napoléons in Pakistan’s GHQ had no alternative but to accept a cease-fire." One of the more positive steps that Pakistan President Pervez Musharraf took was to open up the airwaves to private television channels, but only to watch in horror as a few short years later the same media, now free, turned on him. "Musharraf and his ministers were subjected to sharp and critical interviews that must have made the president yearn for the comparative safety of CNN and BBC World. ... The media should not agitate," Musharraf said. "It should join us in the war on terror." He was wistfully thinking of CNN and BBC World." It would take a revolt by the Pakistani judiciary to weaken Musharraf, and the assassination of Benazir Bhutto in 2007 to finally rid Pakistan of its fourth dictator. While at one time India’s press was at the forefront of investigative journalism – Arun Shourie and the Indian Express being perhaps the most luminous examples in the 1980s, when investigative journalism saw the invincible Congress government lose more than half its seats in the national elections in 1989, it is no secret that mainstream media over the past decade or so has become for the most part the handmaiden of the ruling party in covering up its corrupt deeds. An expose in late 2010 (Radia tapes controversy - Wikipedia) uncovered prominent members of the media as having indulged in influence-peddling and facilitating backroom dealings to fix positions in the national cabinet of the UPA government. The rest of the media, when not busy pandering to its respective political leanings, had its hands full with trivializing news, faking live interviews with public figures, sensationalizing events, and pandering to the prurient tastes of the masses. "The level of debate in the Pakistani media is much higher than that in neighboring India, once greatly admired for its vigorous and critical press, but now taken over by a middle-class obsession with shopping and celebrity that has led to widespread trivialization of TV and most of the print media." That the author has no love for the British comes out very clearly in the book. The standard line used when describing the border region around Peshawar has been to characterize it as "lawless", "barbaric", "primitive", "savage". The author sees it differently - "This view is derived from the minstrel of the British Empire, Rudyard Kipling, whose descriptions were mistakenly read as history." Even when the Afghan elite tried to do some good for their country, their efforts were regularly "sabotaged by the British Empire." According to the author, if there is one nationality hated more than even Americans by the Afghans, it is, unsurprisingly, "the British". Finally, the author is contemptuous of the "drivel" that passes for analysis coming out from American think-tanks. Their opinion seems to change with the needs of the administration in Washington. So while the mujahideen in Afghanistan were "freedom fighters" in the eighties, the same bunch became "extremists" a decade later. As suggested earlier in this book, these analysts were spouting "…equally nonsensical views in the eighties when the tribal areas were regarded as freedom writ large and most Western journalists meekly followed ‘advice’ and referred to the mujahideen as "freedom fighters." When Richard Armitage spoke in February 2008 about the "mess in Pakistan", he more or less admitted that "they knew perfectly well that they had handed the country to religious groups and the ISI. What they were doing was using Pakistan as a "Kleenex" (as a senior official informed Dennis Kux) or, more accurately, a "condom" as a retired and embittered general once described the "strategic relationship" to me". Unsurprisingly, the obsession with this region has little to do with religion, or extremism, or even terrorism – "the larger cause is oil, the bulk of which lies underneath lands inhabited by Muslims. … The rise of recent Islamist movements with their extremist factions is a modern phenomenon, a product of the last fifty years of world history. It’s a phase that will wither away, including in South Waziristan…"
As for Pakistan, the author’s discouraging prognosis is that "The outlook is bleak. There is no serious political alternative to military rule."